Ever want to move to greener pastures, or turn those pastures into some green? This week we’re profiling some farm properties that can produce some sizeable income either as an owner or to rent to prospective entrepreneurs in the farming industry. Check out Thomas Hirchak Company’s circa 1900 country home in Greensboro, Vermont. The epitome of picturesque, this idyllic house offers 3 bedrooms and 1 bathroom, a recently constructed 3-car garage with storage, new windows and insulation, all situated on a new foundation. 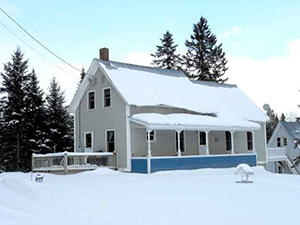 Set on a breathtaking 26 acres complete with a running brook, privacy abounds with 2,500’ frontage on 2 separate roads. PA digs this one for its accessible business opportunities, ideal for a small vegetable or animal farm. Auction date is April 11th. With home sales steadily improving, rental properties have been leveling off for some time now. Yet there are still quite a few choice real estate opportunities for those looking in the rental arena. This week we’re highlighting a couple of noteworthy multifamily options hitting the auction block for the aspiring landlord or real estate magnate. Take a look at Harv Levin Auctioneers’ 5-bedroom, 2-bathroom duplex in Manchester, New Hampshire. Situated on a .31 acre lot, this 2,690sf property includes some great perks including wood shingle exterior, hardwood floors and a fireplace. PA digs this property for its extra storage space with a basement and garage – always a draw for renters. Auction date is March 26th. 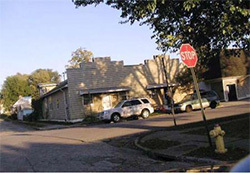 For those looking for something a little larger, then check out Micoley’s 3-unit, 3,772sf multifamily property in Madison, Illinois. Space abounds in this home, boasting a total of 6 bedrooms and 3 bathrooms. 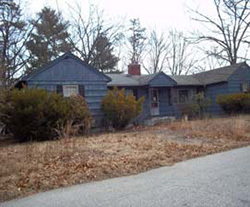 PA digs this one for its stellar-sized 7,500sf lot, bringing with it ample opportunities for additions or remodeling. Auction date is April 26th. With the economy steadily improving, many aspiring business owners are considering the hospitality industry with budding endeavors such as restaurants, bed and breakfasts, hotels and motels. This week we’re profiling a couple of motel properties that could bring in a steady clientele (and with it, a solid revenue stream) for the lucky winning bidder. 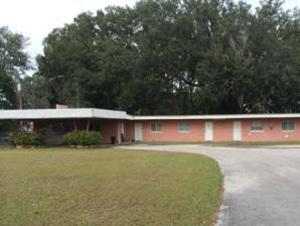 Check out Tranzon’s 31-room motel in High Springs, Florida. The entire property offers 5 buildings on 4.33 acres and includes refrigerators, microwaves and many flat screen TVs in the guest rooms, as well as an office for management. This listing holds commercial and hotel/motel zoning and is located in a high tourist area globally recognized for its cave diving. PA is picking this one for its limitless potential, where the property could be redeveloped into a host of lucrative options including a dive resort, assisted living facility or seasonal apartment complex. Auction date is March 25th.